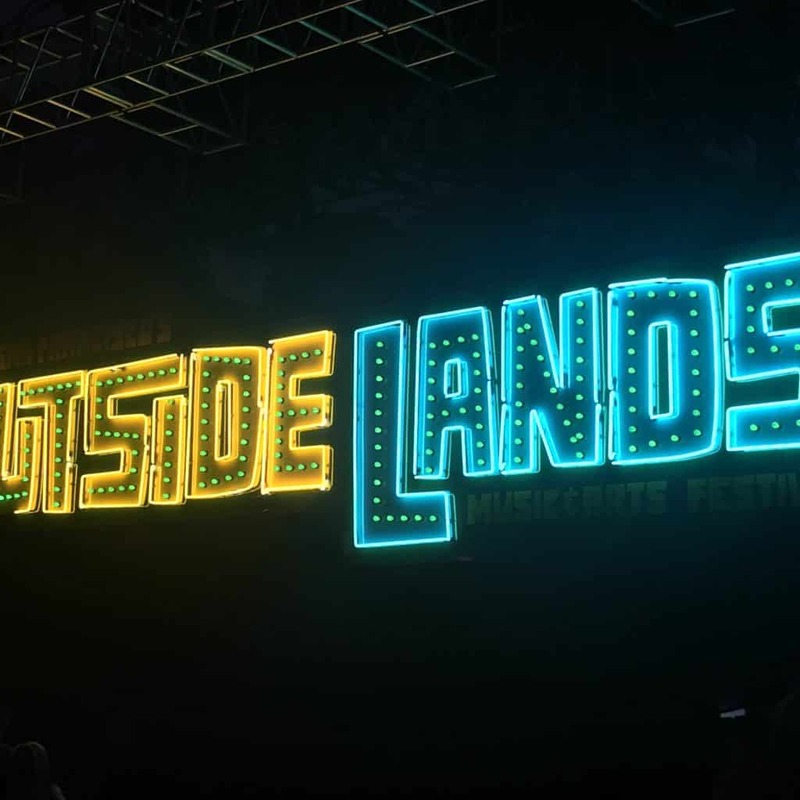 The tenth annual Outside Lands Music and Art festival took place at Golden Gate Park in San Francisco, California on the weekend of August 10th to 12th. Tens of thousands of attendees from San Francisco and all over the world came together to partake in good food, amazing music, comedy workshops, unique art, cooking classes, and everything in between. This year’s diverse lineup featured a great mix of live bands, pop sensations, an orchestra, and DJ’s that catered to various tastes in music. There was something for everyone to enjoy out of the 60+ artists that performed at Outside Lands. Headliners included Odesza, Janet Jackson, Beck, Florence + The Machine, Portugal, The Man, The Weeknd, DJ Snake, and many others. Nothing but good vibes filled the fresh air walking across the festival grounds. Golden Gate Park is located in downtown San Francisco, tucked away within the busy streets in a place that resembles a mini Central Park. The grass is lush and green in Golden Gate Park. There are also many beautiful trees, lakes, trails, and flowers. It is unlike any other concert venue I have ever been to. It is vast, but not too large where you get lost walking from stage to stage. The festival is an ideal size with room to grow as the festival expands. There were five stages for musical performances: The Lands End (main stage), Sutro, Twin Peaks, Panhandle, and The House by Heineken. Along with these five stages were another two stages: The Gastro Magic stage for cooking class and The Barbary stage which hosted comedy shows, improv, social awareness, and other lectures. Each stage was unique in the way it was set up. The lighting, the sound system, the viewing areas, etc. all added pizzaz to the experience. There was a stage tucked away in trees that made for an amazing backdrop. Golden Gate Park is the perfect place for a music festival like Outside Lands. Having seven stages to chose from made for a diverse set of options when walking around the venue. It was overwhelming at times trying to figure out where to go as there was so much going on throughout the day. There were also many themed areas such as Grass Lands, Wine Lands, Bacon Land, Cheese Land, Beer Lands, Eco Lands and more. Each had a theme and purpose behind it. New to 2018 was Grass Lands, which embraced and informed 21+ attendees of the benefits and uses of cannabis both medicinally and recreationally. There were vaporizer companies showing the benefits of vaping as opposed to smoking. There were also a few edible companies giving out samples of their recipes. Everything was non-medicated so you would not get intoxicated. The heart of all things art and expression related at Outside Lands was located in the art village. There were many unique art pieces created specifically for Outside Lands. There were lots of wall paintings that made for perfect Instagram pictures as well as balloon sculptures, and so much more. There were also large structures such as the Ranger Dave that made for great photo opportunities. Outside Lands seemed to have an endless assortment of food options ranging from pop up shops, famous restaurants, and delectable food trucks. There were different food options everywhere you look. There were many vegan and gluten-free options, making it easy for everyone to enjoy a delicious meal. One of the highlights was the amazing dessert options such as Oreo cookie funnel cakes, mini donuts, and custom dipped cream bars. It became tough at times to select which food options to sample because there was a wide array of them. It would be best to come on an empty stomach so that you can try as many food options as possible. If I were to guesstimate, I would say there were over one hundred unique food options. Some of my favorite dishes would have to be the pizza, ramen, waffles and chicken, and BBQ sandwiches. This year was our first time at Outside Lands and it will definitely not be the last. The people and vibes make this a unique and special place. There is nothing quite like Outside Lands and we are excited to come back again next year! We hope to see you in 2019.